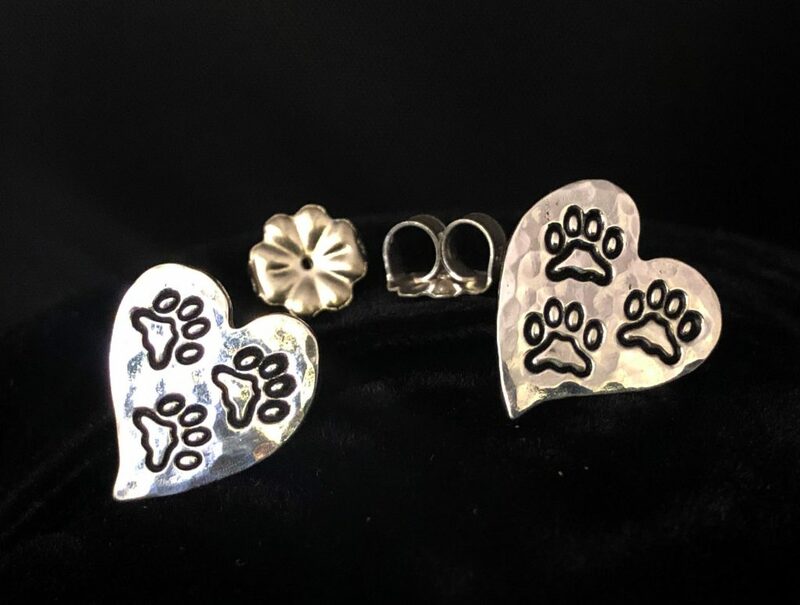 Sparkle with our Tripawd Pride paw print post earrings in sterling silver. 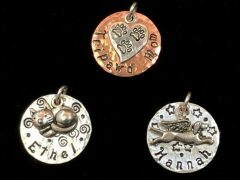 Our hand-stamped sterling silver 3-paw Tripawd earrings add sparkle to any outfit! 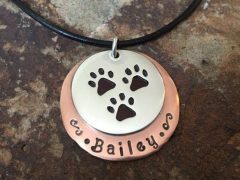 This metal stamped paw print charm measures 1/2″ across and is made with 20g sterling silver. 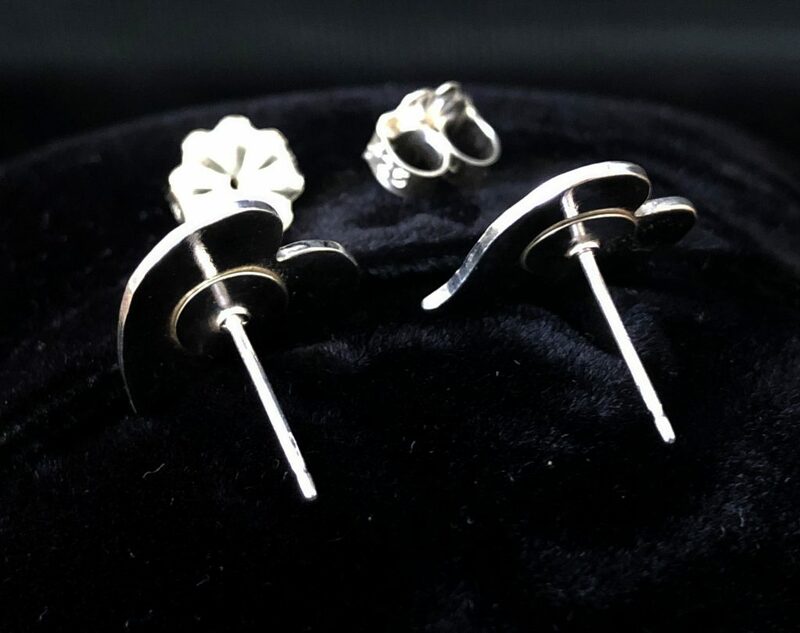 Posts are fabricated from hypo-allergenic sterling silver, perfect for folks with metal sensitivities. 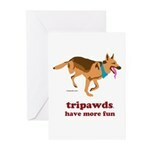 Our original set of women’s earrings is handmade by Tripawds founders Jim and Rene. Every piece of jewelry artwork is unique, no two are alike. 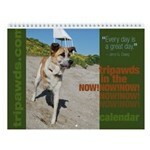 Your Tripawd jewelry is wrapped in a free gift bag and shipped to U.S. customers via U.S. postal service first class mail. 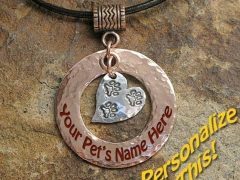 All handmade jewelry purchases benefit the Tripawds.com community, which provides education, resources and support to pawrents of dog, cat and animal amputees because of bone cancer, accidents and birth defects. When wearing metal jewelry, make sure it’s the last item you put on after getting dressed, applying makeup, hairspray, perfume, etc. These things may change the color and leave a mark. 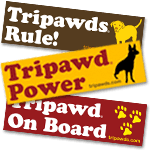 FYI, tiny imperfections may exist but keep in mind that’s what gives it the one-of-a-kind, handmade look 🙂 Tripawds jewlry includes a 100% Satisfaction Guarantee against manufacturing defects. Be the first to review “Tripawd Paw Print Post Earrings in Sterling Silver” Click here to cancel reply.